What defines the word interview well? A nerve-wracking situation is similar to that of the students who appear for the final exams. Of course, the situation is not the same for all students. Some are brilliant at studies and easily get through, whereas for some it is the question of life and death. However, neither interviews nor exams are extreme. A job seeker is no different from the student. For some confident and experienced interviewees it is easier to get through however, for the newbies it is a tough task. However, students and interviewees, both may miraculously excel in the task if given some good tips to start with. So be ready for some wonderful tips that might help you in your tasks, job seekers. However, before telling you about what you should do, let me tell you things that you should not do in your interviews. 1. Are you a statue or a robot? Are you a statue or a robot? No, you are a human. Imagine that you are the interviewer. You have just asked the candidate some questions. However, the replies are limited to monosyllabic words and few nervous mumbles. How would you feel dealing with a robot or statue? You are bound to feel frustrated and disappointed. Interviewing is a huge responsibility and often the interviewers might get frustrated on not receiving desired result. Thus, if you are not a robot then prove it in your interview. Moreover, if you were not able to handle an interviewing situation how would you manage the position and challenges that come along in the job description? Therefore, if you find it difficult to be calmed and docile then go for mock interview sessions with your friends to ease the tension. Have you ever encountered a situation where an authoritarian person scolds you and not give you a single chance to speak? If you have experienced it then you might very well understand the difference between dialogue and monologue. In the previous case, I have mentioned about a robot and/or statue and asked you to become a human. However, by being human I do not mean for you to be over talkative. There is a huge difference between monologue and dialogue. Thus, let the interviewer lead the interview and not vice versa. You might seem smart, well learned, and a perfect fit. However, if you do not let your interviewer converse with you he or she may feel frustrated and might get a negative first impression of yours. Be curious regarding things and show your interest but do not reverse the roles altogether. Thus, portray your skills and smartness in a dialogue-formatted interview. 3. Did you just roll out of your bed? Disheveled clothing, tousled hair, sweaty odor, etc are very distracting to eyes. Imagine about different scenarios. In the first one, you look exactly similar to the above description. You enter into the recruiting room where all other candidates are present. Would you be a pleasant sight? Nobody likes to talk to someone who is not well dressed and stinks. Moreover, that makes you look very careless about the job, where you are appearing for interview. Further, it does not show you lack of respect instead, it clearly portrays your disrespect for both i.e. the company and the employer. Not every organization has certain dress code however, it is important to dress into something that is comfortable at the same time acceptable. There is a huge difference between well dressed, under-dressed and over-dressed. Remember the difference and choose the appropriate clothing for better impression. 4. Are you boastful and egoistic? The existence of human being is the result of the trial and error method. However, not everyone can accomplish the same thing. Graham Bell might have not been as successful as Edison might in inventing the bulb and vice versa. Every single one of us have some or the other weakness. Some might have more than one weaknesses and some may be lucky enough to have one. However, I have never met a human being with any weakness at all. Have you encountered such Godly creature? Of course, it is impossible. Similarly, when the interviewer asks you about your weaknesses, do not boast about being perfect. Moreover, answers like, “I barely have any weakness at all” or “I dislike people who procrastinate”, may not gain you any scores. Here, I am not asking you to straightaway list your weaknesses however, do not be overconfident. With that, we have discussed the things that you should refrain from doing in an interview. However, do not forget the things that you are supposed to do in the interview. Let us have a look at those set of things that you should do at an interview. What happens when you feel anxious and nervous? You are unable to express yourself. You fumble at every word or unnecessarily turn robotic. This may totally ruin the chances of your selection. However, what will happen if you prepare yourself well enough so that you can be confident? How can that happen? Well, you can collect various possible questions that your interviewer may ask you during the interview. Google is the best place to search for possible question as well as to prepare the perfect answer. If you are able to prepare well you might save yourself from being embarrassed or taking long break to answer certain question. For a native speaker it is easy to speak the language. However, for non-native it is impossible to speak in the same fluency unless they master the language. Similarly, when you rehearse certain answers you might be able to communicate well. It would not make you sound over polished. Therefore, do not worry about sounding rehearsed, as that will not count as a negative asset. Moreover, it will show your dedication and interest towards the job. Further, it will increase your confidence and boost your body language as well. Rehearsal requires relevant research. How would you rehearse or practice a mock interview if you do not know about the company and its culture? The first thing that you should do after preparing questions is that you search about the company culture. Interviewer may ask questions regarding the visions of the organization. To answer questions related to the company’s benefit, the service that you will provide, your involvement, etc you should thoroughly research. However, do not spend hours in trying to collect relevant information. You should focus on the interview, not on the history of the organization. Dull and tired looking faces barely reflect the inner persona of the person. Sleep well before the interview so that you can focus on the interview and your attention is not diverted. Moreover, the attire also matter in the interview. If you wear a skirt, that rises up when you sit or a top that seems itchy and uncomfortable may affect your posture. A dull posture may affect your odds of job offering. Be attentive and wear comfortable attire so that your expressions and involvement with the interviewer is not affected. Creating a perfect portfolio is very important in an interview. However, make sure to add a copy of your resume, original certificates, and previous remarks from earlier job, etc. This may help you in the interview. Moreover, it may make you look more organized and increase the odds of your selection. After all, organizing is also equally important as the qualifications. There are various questions that cannot be prepared at one go. For example, if your interviewer asks you questions like, “What will we miss if we decide against hiring you?” For a second the idea of not being hired may make you feel a little bit de-motivated, however, if you prepare answers for questions like these, you may easily answer it in front of your interviewer. Practice your answers repeatedly so that you can confidently convey your answer. The question that persists is that how would you practice perfectly? Well, one of the self-sufficient methods of practicing is by recording your answer. Record yourself while answering, as it will surely help you in evaluating your performance and rectifying it. Practicing with friends may also help in improving however; you would need more than two people at a time. One can observe and evaluate you while the other will perform as the interviewer. The researching and preparing part of the interview ends here. However, there are points that you need to concentrate on to excel your performance during the interview as well. 7. Would you tell me about yourself? “Would you tell me about yourself?” the interviewer said in frustration. Would you like to hear that from your interviewer? Of course, you would not like that. Well, then answer according to the question. If your interviewer asks you about yourself, then keep your answer limited to you, you achievements, your accomplishments, your visions, etc. If you keep on adding about your parents, your siblings, your pet, etc your interviewer may feel frustrated due to the unnecessary answers. Thus, stick to your answers. The first few minutes of your interview determines the chances of your selection. How can I guarantee it? Well, the interviewer may encounter many interviewees at the same day. This makes him or her exhausted from the continuous evaluation. Thus, save his or her life and bring in some enthusiasm in the place. If you enter with a great smile, shake the hands of your interviewer and look bright, the interviewer automatically starts liking you for your positiveness and brightness. Moreover, if you express your gratefulness for the interviewer’s time it may also help you in being on the good side of the interviewer from the start. 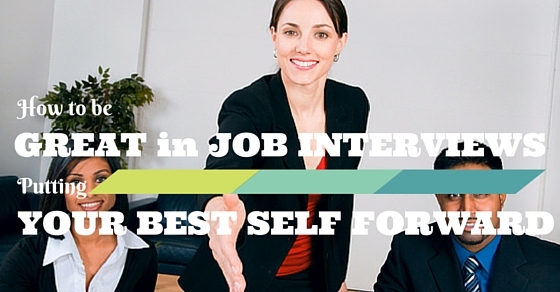 The main motive of the interviewee is to make sure to look the best and grab the offer. However, on the part of the interviewer, the objective is to make sure that they evaluate the interviewee well. However, you should breach the usual tradition. Make the interviewer feel that you are here to learn and this interview will surely prove to be an experience-gaining platform. Further, add your visions and your definition of perfect job. It may surely impress your interviewer. Qualities are the reason to why you deserve this job offer. Thus, be prepared with the points that define the reasons to why you deserve this job. Lay out more than five points that make you stand out as an employee. For example, tell them about your communication skills. Also, add on how you used them in the past for your benefit or how you wish to implement them for the betterment of the company. This way you would easily be able to secure your position in the race of the better candidate. Interviewing is a two way communicative process. Thus, as I have listed above in what you should not do, do not be passive. Make an interviewing a pleasant experience for your interviewer as well. Employers look out for positive employees. Positive approach uplifts the atmosphere. Similarly, if you end in a positive manner the interviewer may feel impressed enough to consider you for the job. Add a comment such as,” You look forward to the reply.” You can also add about how fortunate you would feel to be a part of the organization. Lastly, do not giveup. It is possible that there are many applicants who were better than you in performing. Therefore, do not lose hope in yourself. Keep trying and excel with experience.